Running long distances was never something I intended to do. In high school, I was expressly against it. I ran track, but as a sprinter, 400 meters was my limit. I had no intention of joining the insane people who ran miles and miles at a time. Something changed in my mid-20’s. Most of my wife’s coworkers had completed marathons, and on staff retreats, they would get up and run together each morning. Courtney joined in and started running with them. At the time, I needed a way to get in shape, and I was intrigued by the challenge of running a half marathon, so I started running, too. Initially, we ran here and there, but we were never consistent until we signed up for a 5K race. Courtney downloaded a couch-to-5K app, and now, we had a training plan. We alternated between running and walking for a set amount of time, and as the weeks progressed, both the proportion of time spent running and the total length of workouts gradually increased until we reached the final workout: running for 30 minutes straight. And while it was difficult, both of us were able to complete the workout. Neither of us could have run for so long when we started, but after two months of training, we were able to run further than we had ever run before. 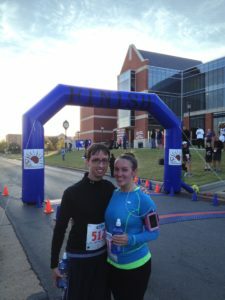 Soon after that, we ran the Race with the Stars 5K at Oklahoma City University, and we both finished the 3.1 mile race. It took over two months of training, but we put in our time each day and succeeded. Afterward, we didn’t want to stop, so we found new training plans and kept running. As we kept running, our ability grew. 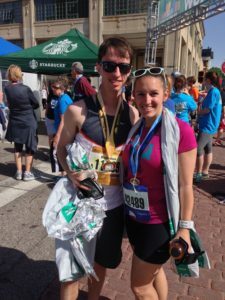 In April 2014, I ran the Oklahoma City Memorial Half Marathon—my first half marathon. Courtney ran her first later that year. In the years since, we have finished several more half marathons and many other races and distances. When we started, neither of us could have finished a 5K without walking, much less a half marathon, but we put in the miles day after day, and eventually, we reached our goal. There was no single workout that got us there. 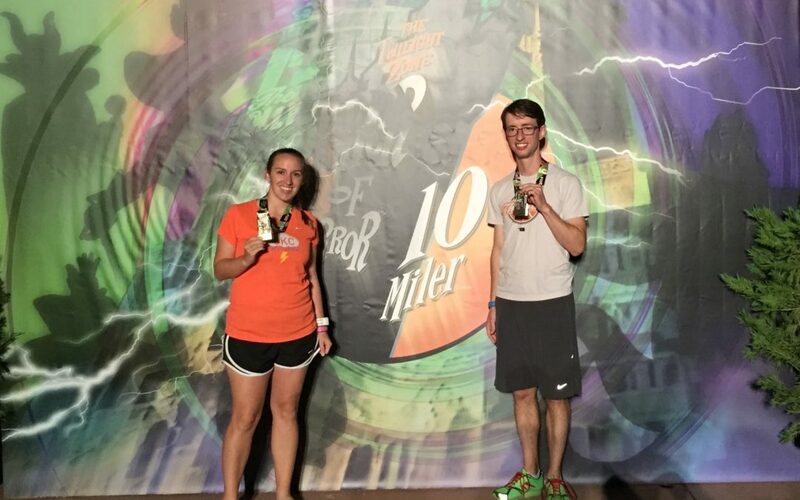 It was the cumulative effect of weeks, then months, and then years of training that allowed us to run 13.1 miles. When we dream of achieving new goals, it’s easy to be daunted by the enormity of the task. If after a few attempts we don’t see immediate improvement, it’s easy to get discouraged and quit. This is especially true in our spiritual lives. When we attempt to pray, we feel like it should come easily, or we should experience some kind of epiphany. When we begin to read the Bible, we want to understand it completely. When we strive to serve others, we want our future efforts to come easily. But it doesn’t work that way. We aren’t immediately spiritual masters. As with anything else, we progress by putting in the work day after day—running today’s miles, saying today’s prayers, reading today’s Bible passage, showing up for today’s service. And when we show up each day—when we live out what Nietzsche calls the “long obedience in the same direction”—God uses that daily effort to shape and form us. There’s no one day when it happens, but over time, we come to know God more intimately in prayer. We hear the Bible speaking into our lives. Service to others becomes a way of life. One day at a time, God’s grace shapes us into people who live more and more like Jesus. I’ve not done much running over the last several months, and my fitness level is nowhere near where it was a few years ago, but over the last two weeks, I’ve returned to running several times per week. And even though I am out of shape, three miles is an easy, routine run. After years of incremental progress, what was once beyond my capacity is now a matter of course. In your relationship with God, your prayer life, your relationships with others, or in any other area you want to grow, don’t be discouraged when you don’t see immediate results. Becoming a disciple of Jesus is the journey of a lifetime, not a moment. Show up for today’s work, and over time, you will find yourself growing—one prayer, one reading, one day, and one mile at a time.